Just tapping away really. Carried on with the Paul Arden chapter, inserting points from my web research. It’s just a bit laborious really, not boring but you have to work your way systematically through. So I was sitting in the back room, door open onto the garden, cat asleep under the coffee table, a bit of David Gilmour on the old music system (and I mean old), autumn sun streaming in, Turkish coffee steaming beside me. Uneventful. Enjoyable. 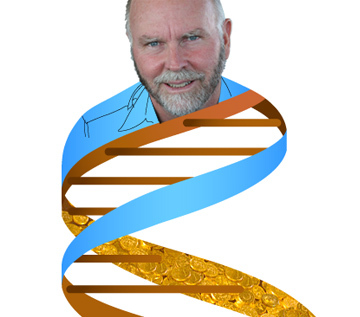 On the research front was reading up about Craig Venter so see if the Human Genome story can be told in an unexpected, less received-wisdom way. Had to call operations to a halt just before 5 to make my first visit to Google Campus near Old Street and my second visit to The Fox Pub round the corner (first visit was on the evening of a benefit exhibition for street artist Robbo a couple of years ago). I was there at the kind invitation of Moray Coulter, creator of ProductionBase [media recruitment website] and new start-up We Can Go Dutch (Do things you couldn’t do on your own by aggregating your buying power and splitting the cost). The event was a gathering of TableCrowd focused on the Sharing Economy. The start-ups represented ranged from house-sharing to lift-sharing, no waste veg-buying to integrated online home-renting. It resonated for me on a number of levels – my Landshare commission with Hugh Fernley-Whittingstall in 2009, FruitShare last week (104,359 UK children involved so far), the pilot on collaborative consumption I worked on last year with Rachel Botsman (w/t the Big Share). But beside all that, as I described the book I’m working on to fellow guests, it became increasingly clear that the spirit of this strand of online/start-up activity is closely allied to that of the central figures in When Sparks Fly. 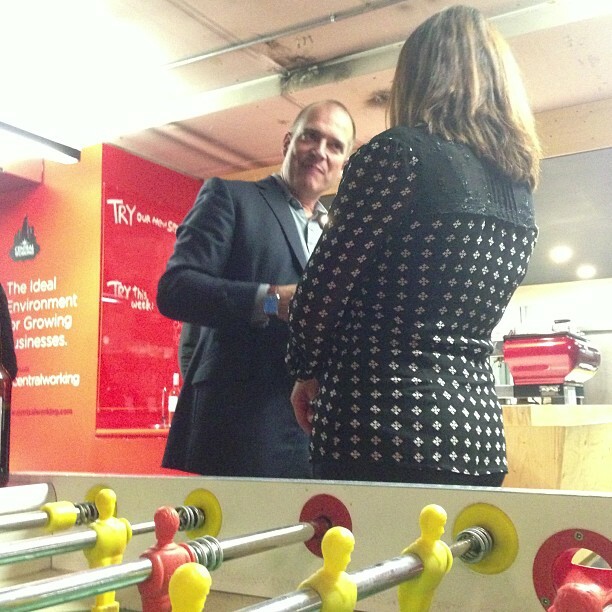 The event was held in a space run in the Google Campus basement by Centralworking. This shared work-space operation was set up by James Layfield. He’s the fella I’m going to talk to about the Business section. According to one of the start-ups at the gathering to whom I was chatting after dinner, James regularly sits down with the businesses in his premises and listens to their plans and shares his experience, simply as a good-will/out-of-genuine-interest bonus.